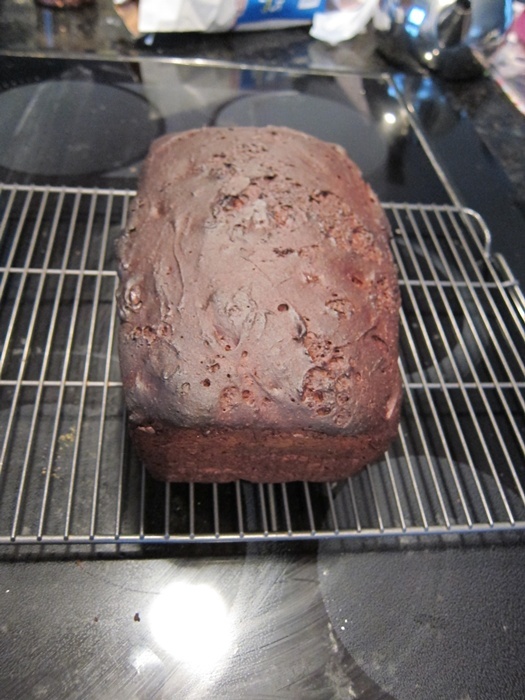 We’ve started getting some more gluten free specific ingredients, which promptly led to chocolate bread. Chocolate ASAP seems a good rule! I started off this afternoon with two gluten free breads in mind. In mind and prepped for. 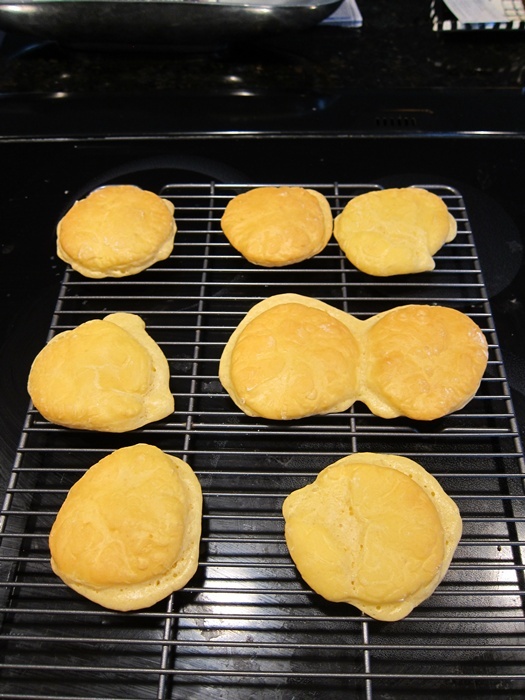 The cheese rolls turned out …flat. Very flat. If anyone else wants to try them, the flavor’s ok (sharper cheddar might have been an improvement), but the shape is disappointing. Recipe’s here. 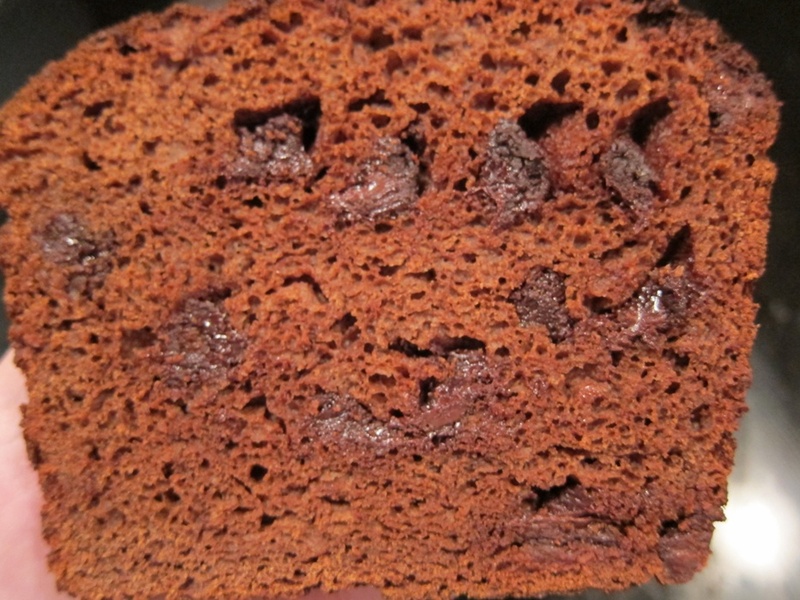 The chocolate bread, though, held it together quite nicely! 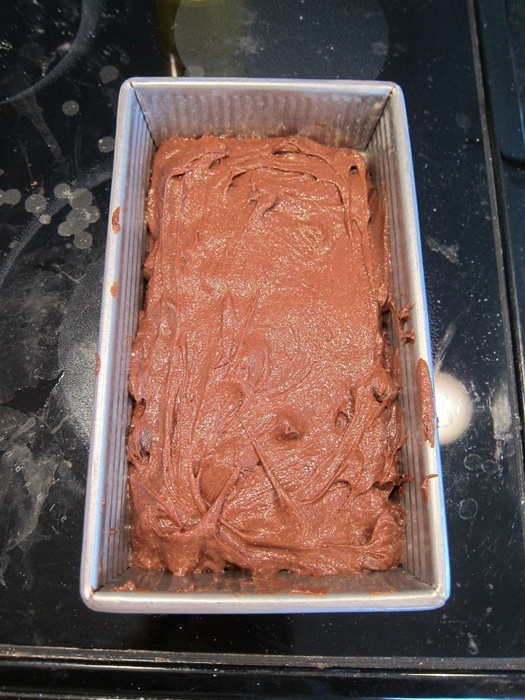 Grease a 9X5″ loaf pan and set aside. Carefully melt together the butter and 3 ounces semisweet chocolate in the microwave until smooth, then set aside to cool slightly. 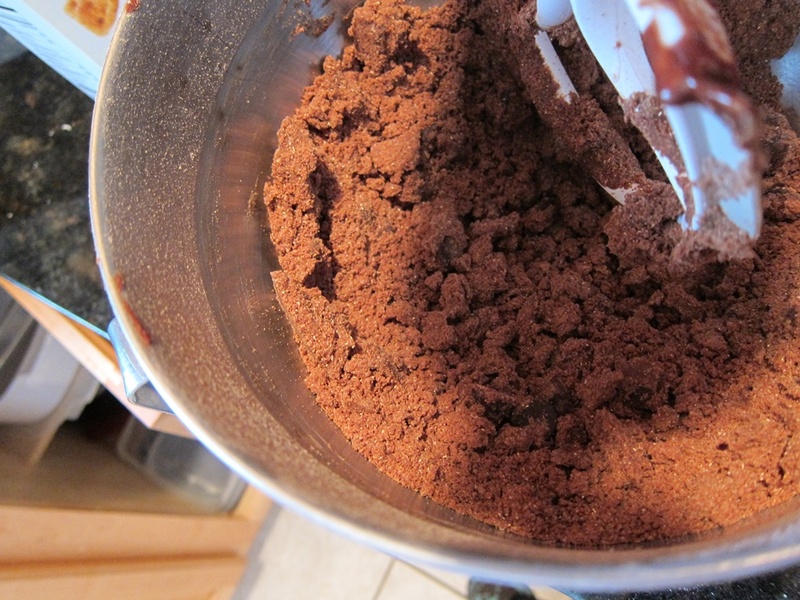 In your stand mixer’s bowl, combine the flour, salt, cocoa powder, cinnamon, baking soda, cream of tartar, and sugar. 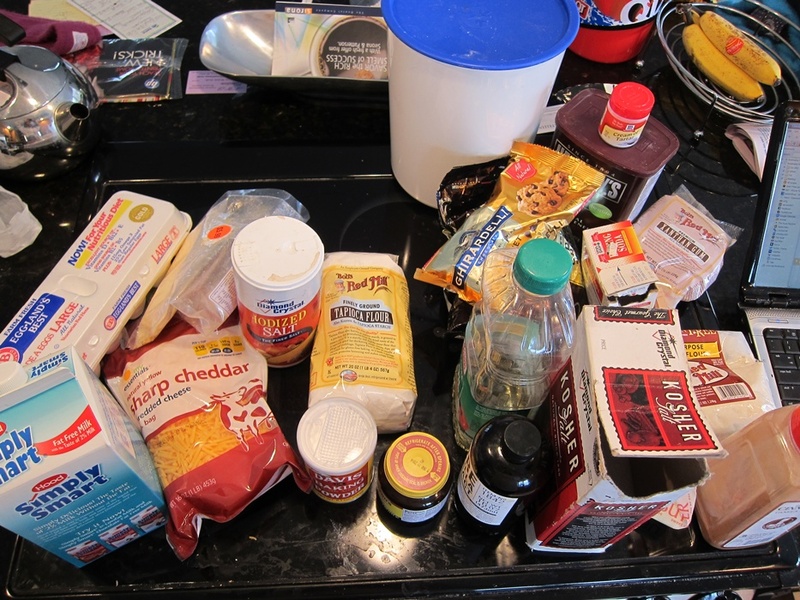 Mix on low speed until well-combined, then add the yeast, mix again briefly, then add the chocolate chips and mix another few seconds until evenly distributed. Add the melted chocolate to the dry mixture, followed by the oil, vanilla, and eggs, and mix on low until just moistened. Still with the mixer on low, pour the the milk in in a slow stream, then turn the mixer up to medium high and beat 4-5 minutes. Pour the dough into the greased bread pan and spread evenly. Cover loosely with plastic wrap and set somewhere warm to rise until risen up to or slightly over the edge of the pan, 45 minutes to an hour. During that time, preheat the oven to 375 degrees. Bake the loaf, rotating once during baking, until the bread has a firm crust and sounds hollow when tapped, about 45 minutes. Cool for 10 minutes in the pan, then turn out onto a wire rack to cool completely. 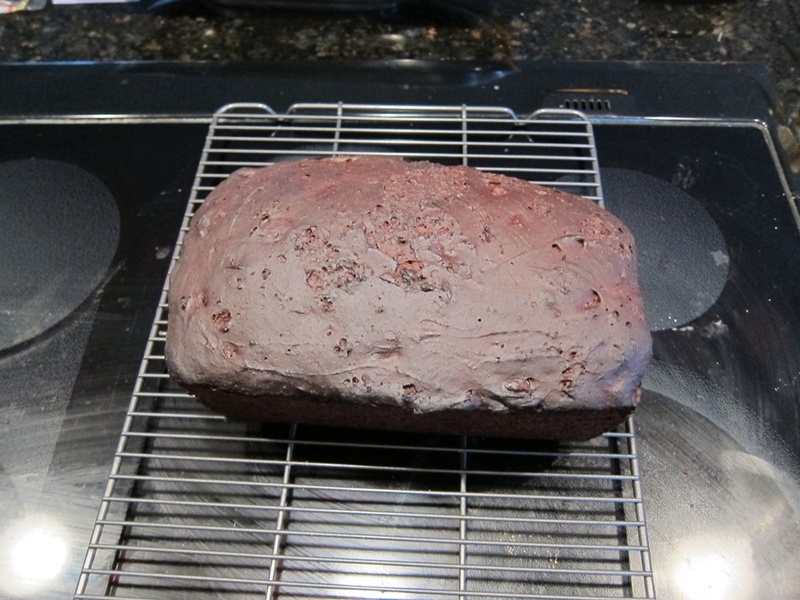 This is plenty chocolatey, and actually has a pretty normal bread-ish texture, although it dries out within a few days (as most breads will). My mom discovered that toasting a slice (on a pan or some foil so that the chips don’t melt into your toaster oven) with some fluff on it is a mighty fine snack! I’ll be submitting this one to YeastSpotting! From Gluten-Free on a Shoestring. 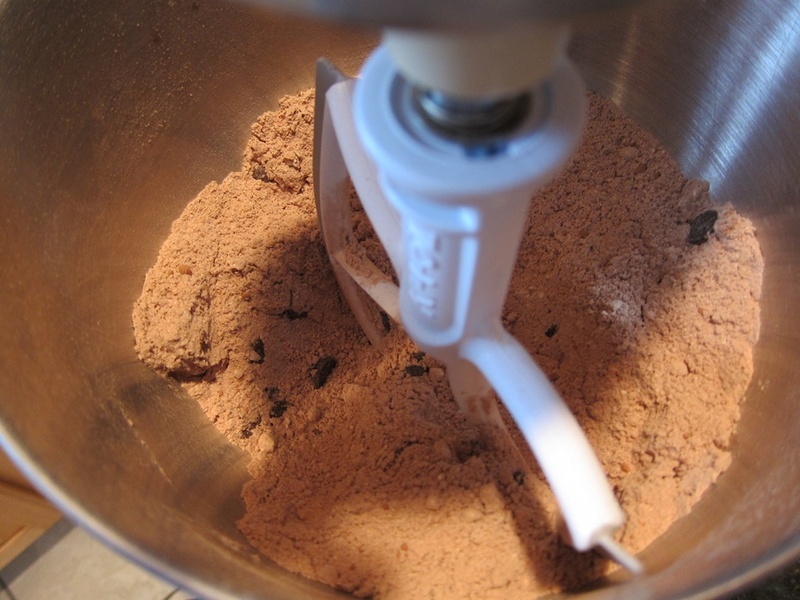 In your stand mixer’s bowl, combine the flour, salt, cocoa powder, cinnamon, baking soda, cream of tartar, and sugar. Mix on low speed until well-combined, then add the yeast, mix again briefly, then add the chocolate chips and mix another few seconds until evenly distributed. Add the melted chocolate to the dry mixture, followed by the oil, vanilla, and eggs, and mix on low until just moistened. Still with the mixer on low, pour the the milk in in a slow stream, then turn the mixer up to medium high and beat 4-5 minutes. Pour the dough into the greased bread pan and spread evenly. Cover loosely with plastic wrap and set somewhere warm to rise until risen up to or slightly over the edge of the pan, 45 minutes to an hour. During the rise, preheat the oven to 375 degrees. Bake the loaf, rotating once during baking, until the bread has a firm crust and sounds hollow when tapped, about 45 minutes. Cool for 10 minutes in the pan, then turn out onto a wire rack to cool completely. 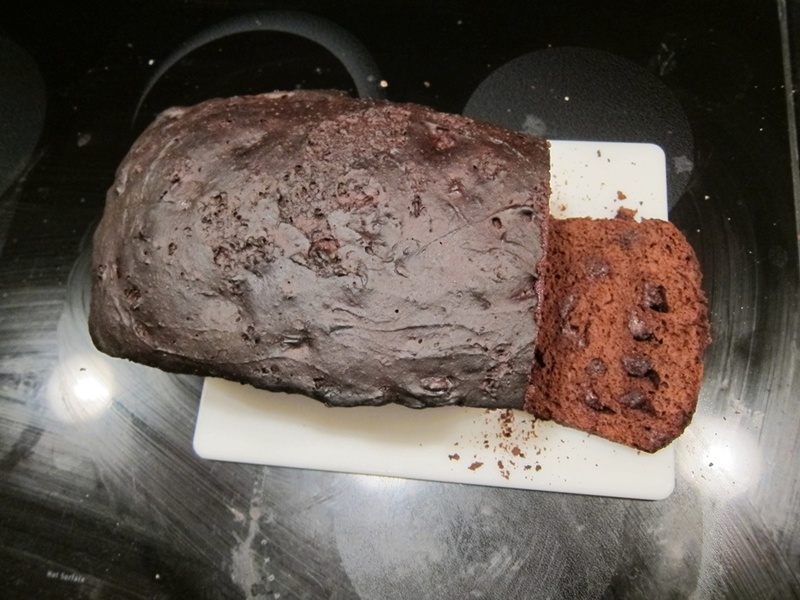 This entry was posted in Bread and tagged Bread, chocolate bread, gluten free, gluten free bread. Bookmark the permalink.